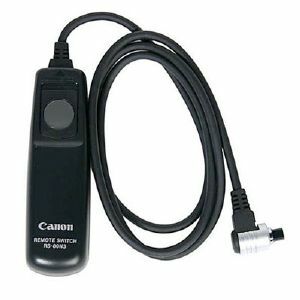 A genuine Canon remote switch with an 80cm cord, useful for preventing camera shake for telephoto shots, macro photography, and bulb exposures. The remote switch works just like a shutter button, enabling halfway or complete pressing. It also has a shutter-release lock. Best used when your EOS camera is mounted on a tripod.